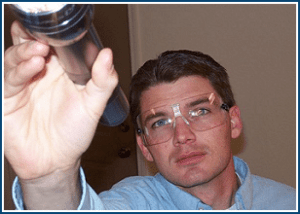 Responsible Pest Control Glendale offers FREE Termite Inspections for homeowners. Our Glendale Termite Inspector visits your home & identifies any Termite Infestation and contributing conditions! All our Glendale Termite Inspections are FREE to residents, and a small fee applies for escrow transactions. Termite Inspections include a customized Termite Reports of your property accompanied with a Termite Service proposal with the treatment needed for complete Termite Colony Elimination. Your Termite Treatment proposal will note a 2 year WARRANTY that comes with full treatment, and the price to renew the Warranty each year thereafter. Each Termite Inspections from Responsible Pest Control comes with written reports that include: Species of Termite, Termite Infestation Locations on a customized graph of your home, any Conducive Conditions that contribute to infestation, Customized Treatment Proposal, and the Renewable Termite Warranty that comes with treatment. Most Termite Infestations in Glendale Arizona are the Subterranean Termite Species that live in huge colonies deep underground. Responsible Pest Control GUARANTEES each Glendale AZ Termite Treatment so we only use the BEST Termite Control products on the market – TERMIDOR! Prices for Termite treatments vary because they’re calculated on linear footage & drilling requirements. Fact: Termites in Chandler cause MORE home DAMAGE than fires & floods COMBINED! Signs of a Termite Infestation in Glendale include: “mud tubes” on a foundation, poking through a wall or ceiling, or flying Termites “swarming” before creating a new colony. Delivering GUARANTEED Termite Control in Glendale! 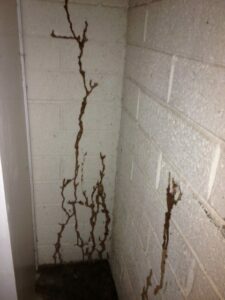 For Subterranean Termite infestations in Glendale AZ, we treat the ground around & under the foundation. A Full House Subterranean Termite treatment always includes trenching, usually drilling, and sometimes interior wall treatments. Our expert Termite pro’s drill EXPANSION JOINTS, as much as possible, to save homeowners from the look of drilled concrete around their home. EVERY Full Termite Treatment comes with a RENEWABLE Termite WARRANTY for YEARS of guaranteed Termite Control! The BEST Termite Exterminating product on the professional market is Termidor… Nothing works better to CONTROL and PREVENT Termites! Termidor does NOT repel termites, in fact it’s totally undetectable to termites! Because Termidor works like a termite disease. When termites com in contact with Termidor by eating treated wood or touching Termidor itself, they become “carriers”, and then transfer Termidor to all the other termites they come in contact with. Those termites then become “carriers”, and the process carries on. Termidor is a slow acting product so that the “carrier” termites have time to pass it on to the entire colony before they die. Responsible Termite Control Glendale AZ – Making Happy Customers in: Glendale, Peoria, Phoenix, Scottsdale, Surprise & Sun City AZ.